This module is designed to develop the fault finding skills of maintenance technicians/engineers.The process of fault finding is the focus of the course. External factors that can affect the process are discussed as well as methods, tools and practices that can assist in identifying faults. Although the course is 'technology neutral' exercises using pneumatic equipment are used to practice the skills and methods. 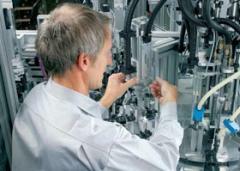 Maintenance technicians/engineers with responsibilities to fault find on machines. General engineering background, experience in a maintenance environment. To discuss this seminar in more detail over a coffee, please contact the business centre on (01604) 667584 or alternatively, e-mail business_centre@festo.com . Information: Course can be run in-house or at one of our national training centres.